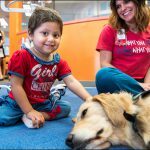 On July 9 the Cancer Center clinic surprised outpatients with a visit from Elsa, one of Texas Children’s three therapy dogs. 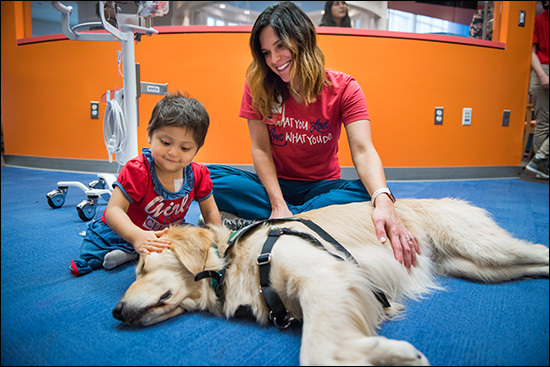 With the dogs constantly making their rounds throughout the hospital visiting inpatients, at times outpatients miss the opportunity to see their furry friends. 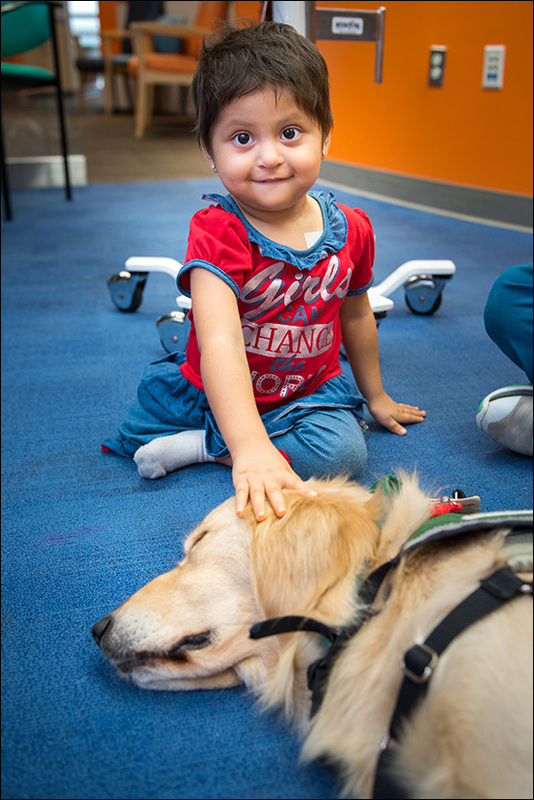 As Elsa’s handler it was Herbek’s goal, along with other members of the Child Life department to provide continuity of care by following these patients throughout their entire treatment journey, inpatient and outpatient. 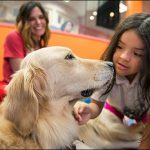 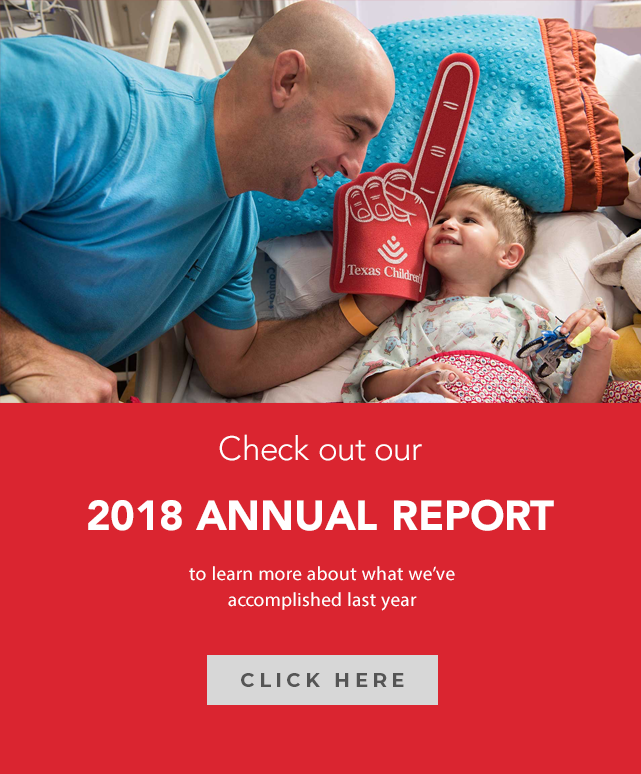 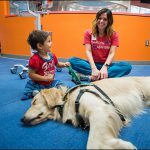 The hospital launched its Pawsitive Play Program in 2016 and it has become highly appreciated throughout the organization in just that small amount of time. 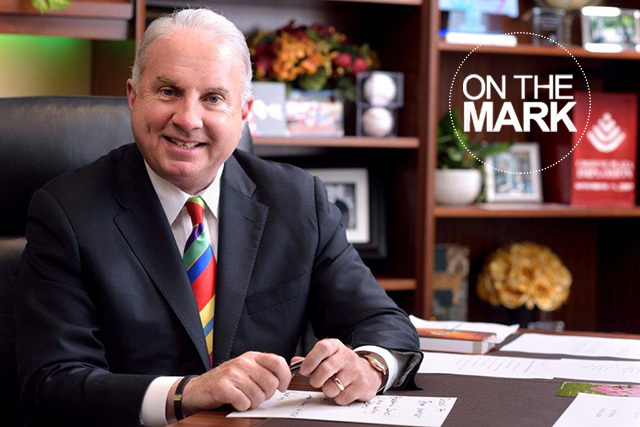 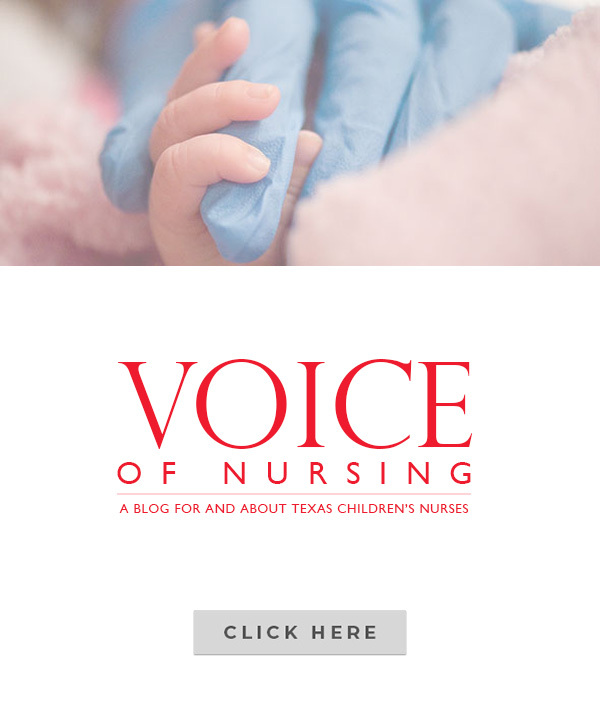 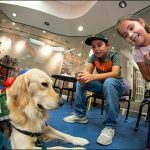 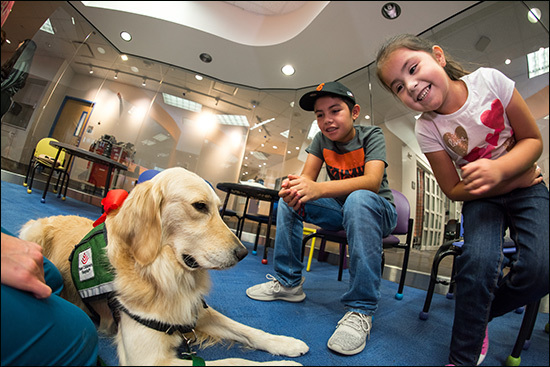 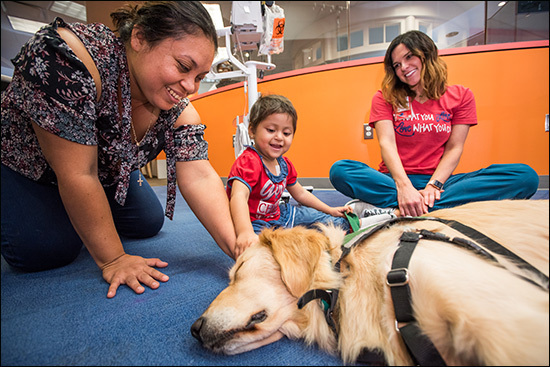 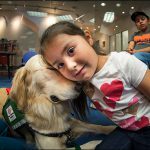 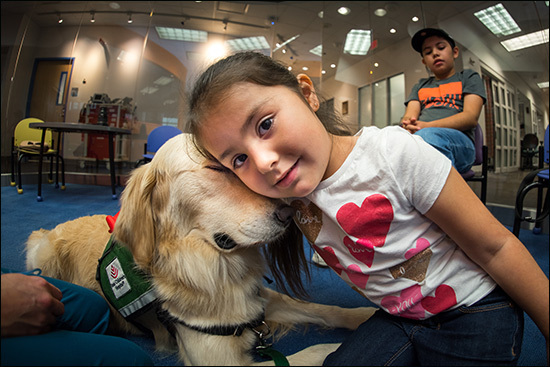 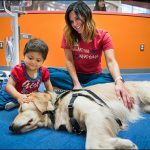 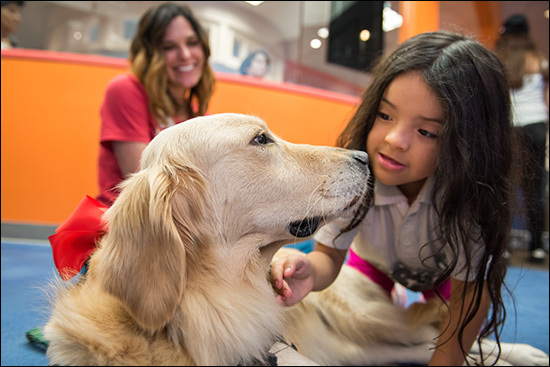 The goal of the committee that introduced this program was to use animal-assisted therapy to enhance the emotional well-being of pediatric patients by reducing their anxiety, perception of pain and fear of hospitalization. 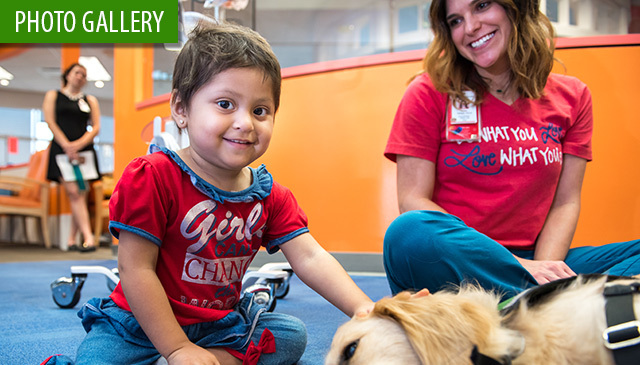 Cancer treatment can be very painful physically and mentally. 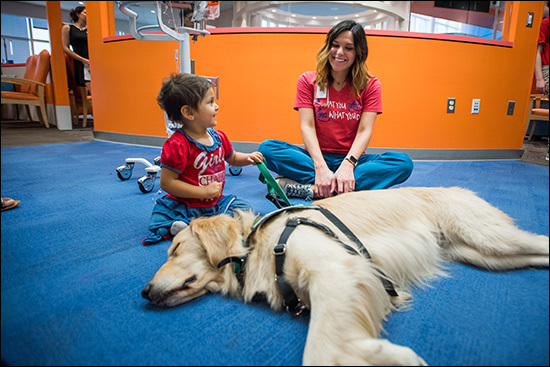 Adding a trained therapy dog to this stressful environment can increase a patient’s energy level and decrease any discomfort or anxiety. 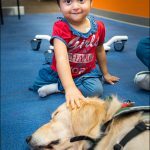 Also, a lot of the patients in the clinic have severe conditions and are not able to experience situations that other children their age would. 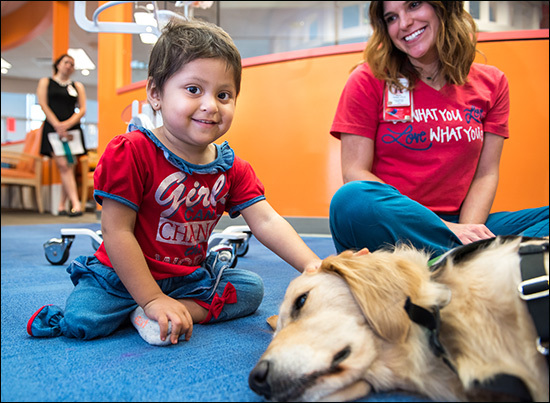 For one patient the visit from Elsa fulfilled this void with it being her first time interacting with a dog. 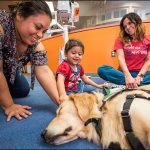 Now that the Pawsitive Play program has grown and added both Bailey, the Legacy Tower therapy dog, and Pinto in Acute care, it has become even more impactful.